"The New York Wine & Culinary Center is designed to engage, excite and inspire the people of New York State and the world in a celebration of New York wine and food. The Center is an educational and experiential gateway to New York State's incredible wine, food and culinary industries," states the introductory material to the center's webpage. I recently went to the center with Pam Horn of Sterling Publishng and Peter Briggs of the George Eastman House...both friends. We went to the tasting room where we delighted in many different wines. Each of us tried different tasting menus and single glasses. Our affable pourer was Luke. The center is rich and lush. The tasting room is breathtaking, the gift shops attractive, the theather beautiful, the view superb, and the food excellent. And there's a state of the art kitchen where you and 20 of your closest friends can whip up a storm in the ultimate dream kitchen, assisted by experienced chefs. If you go to the Finger Lakes and you don't visit the center, you're doing yourself an injustice! Call for hours or dinner reservations. Tom Hudson, owner of Domaine Hudson, tries a white wine. If you had to choose 12 bottles -- a case of wine -- that best represented the quality and diversity of the wines made by the Brandywine region's seven wineries, what would they be? Judges Nina Sygnecki, manager of the Wine and Spirit Co. of Greenville, and Tom Hudson, owner of Domaine Hudson's Wine Bar & Eatery in Wilmington, and I set out recently to do just that for the First News Journal Case of the Brandywine. After first tasting 50 wines from the region's seven wineries, we started filling our 2007 Case of the Brandywine with a crisp sparkling wine, then added a pinot grigio, viognier, three chardonnays and a multi-varietal blend to complete the whites. For reds, we chose a lighter, food-friendly spicy blend, threw in a cabernet franc and finished with two proprietary blends made from Italian grape varieties. Oh yes, we did save room for dessert -- a moderately sweet muscat with lots of floral notes. The total cost of the 2007 case is $289, an average of about $24 a bottle. During the course of a year, local wineries produce at least 75 (most likely more) wines, some of which are seasonal, such as nouveau wines, and some of which quickly sell out. So we asked the winemakers to submit current releases that are available in their winery tasting rooms and outlets this summer, and the result was the 50 wines the judges tasted over a 90-minute period one recent morning. As individual tastes vary, including those of the judges, our task was not to choose the "best" wines, but wines that we all could agree showed the area's quality and diversity. And we added another 14 "Bonus Bottles" that were given consideration for inclusion in the case. We did not consider prices in our sniffing, slurping and spitting. Three wineries each had three bottles each in the case. Chaddsford Winery in Chadds Ford, Pa., the oldest producer in the region, was represented by its 2005 "Philip Roth" chardonnay, the 2005 Proprietor's Reserve red blend and the 2005 Rubino blend of Italian red varieties. Va La Vineyards in Avondale, Pa., contributed its 2006 "Zafferano" pinot grigio, 2006 "La Prima Donna" white blend and its 2005 "Siranetta" syrah-dominated red blend. Pardocx Vineyard of Landenberg, Pa., also had three wines -- the 2005 "Old Stone" chardonnay, the 2005 viognier and the 2005 PDX muscat ottonel white dessert wine. The remaining three wines were from Stargazers Vineyard, near Coatesville, Pa., which had two, and Kreutz Creek Vineyards in West Grove, Pa., with one entry. Stargazers' wines were a nonvintage brut traditional sparkling wine and a 2004 cabernet franc. Kreutz Creek rounded out the 12 with a 2004 chardonnay. Folly Hill Vineyards of Longwood, Pa., was at somewhat of a disadvantage, as it only makes two wines, and its well-received chardonnay, most likely a Case contender, was already sold out and thus not eligible. Twin Brook Winery of Gap, Pa., was represented by two Bonus Bottle selections. Both Sygnecki and Hudson said there were two or three of the wines that they would like to add to their inventory, although they did express concern that the prices may not always make some of the local wines competitive with those from other regions. But as many local wines are made in commercially small quantities -- fewer than 100 cases each for Va La's three winners -- they sell primarily to local fans who usually buy in the wineries' tasting rooms. Hudson argued for including three chardonnays in the case. "If that's what the area can grow best, then that's what we should pick." 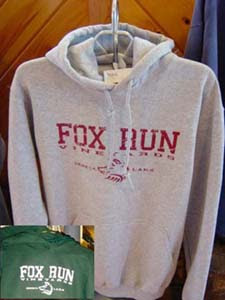 Sygnecki noted that some wineries had five to six white wines plus five to six reds. "You wonder if they should concentrate on fewer wines of higher quality," she said, but noted the region is young enough as a wine producer that it might still have to figure out what grapes make the best wines. It also became clear during the post-tasting discussions that Va La proprietor Anthony Vietri's two white wines that went into the basket were very complex and enjoyable, while Chaddsford's proprietor Eric Miller made several notable reds. All agreed that there seemed to be a "house style" to the Chaddsford reds -- ripe but not lush fruit, good balance, and noticeable, yet smooth, tannins. Twin Brook and Kreutz Creek had some entries that were in the off-dry or lightly sweet style or that were made from very fragrant native American grapes. None made the case, yet some did make the Bonus Bottles categories. The judgment was that they were fairly well-made, yet not distinctive enough to be included. The judges also noted that, chardonnay aside, many of the most interesting whites and reds were blends and not single varieties, which speaks well of the winemaking skills of the local vintners. As vineyards mature, single-variety or varietal wines often come into their own. "I was pleased to find that the region makes a very nice sparkling wine," Sygnecki observed of the Stargazers bubbly, and the judges also thought the few dessert wines represented showed good flavor and balance. There are no legal geographic appellations for the Brandywine region -- all are categorized simply as Pennsylvania wines -- and not all the wineries are strictly in the Brandywine River basin. But the term Brandywine region does reflect the popular description of the southern Chester County area. 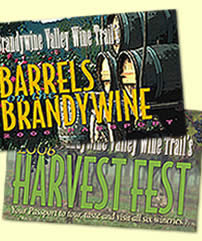 All of the wineries in competition, except Stargazers, are part of the Brandywine Valley Wine Trail (www.bwwinetrail.com), which serves as the regional winery promotion and events council. Chaddsford is celebrating its 25th anniversary this year, and Stargazers its 10th. The other five regional wineries have all begun production since 2000 or, in the case of Twin Brook, restructured during that period. ROGER MORRIS, whose Fine Wine column appears each Wednesday in The News Journal, has been writing about wine for almost 40 years and contributes regularly to magazines such as Saveur, Intermezzo, Beverage Media, Wine Enthusiast, Sommelier News and Drinks. 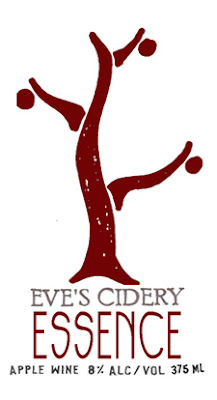 NINA SYGNECKI is manager of The Wine and Spirit Co. of Greenville. Sygnecki selects and purchases all the wine and spirits with the help of "my right arm," Mike Crayton. "I keep my staff involved," she says. "If they can't get behind something, they can't sell it." TOM HUDSON is the owner of Domaine Hudson wine bar and eatery in Wilmington. He tastes and purchases all the wines for the restaurant and also runs its award-winning cheese program, where it has partnered with Artisanal Cheese of New York City. CHADDSFORD : 2005 "Naked" chardonnay, 2005 "Miller Estate" chardonnay, 2005 "Miller Estate" chambourcin, 2002 Merican red blend. KREUTZ CREEK: 2005 steuben, nonvintage ruby "K" port. PARADOCX: 2005 PDX "Haywagon" chardonnay, 2004 PDX reserve chardonnay, 2005 Fruit 52 "Yield" red wine, 2004 Fruit 52 "Merge" red blend. TWIN BROOK: 2006 "Clocktower" traminette, 2005 "Mt. Vernon" reserve chardonnay. VA LA: 2006 "Silk" red blend, 2004 "Black Label" nebbiolo. New York Gold was found in Michigan at the recent Great Lakes Wine Competition, where Dr. Frank’s Vinifera Wine Cellars dominated the medals with a Double Gold (2005 Cabernet Sauvignon) and 5 Golds (2000 Blanc de Blanc, 2005 Cabernet Franc, 2006 Gewurztraminer, 2006 Pinot Gris, and 2006 Dry Riesling). Wagner Vineyards also earned Double Gold for its 2006 Semi-Dry Riesling, and Gold medals went to Fulkerson 2005 Cabernet Sauvignon, Hazlitt White Stag and 2005 Pinot Noir, Hunt Country 2006 Semi-Dry Riesling and 2006 Vignoles, Keuka Spring 2005 Riesling, and Lamoreaux Landing 2006 Gewurztraminer. 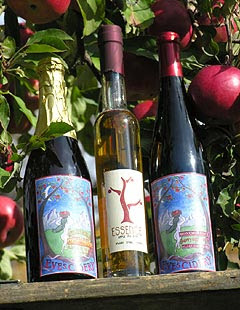 In the 2007 Northeast Big E Gold Wine Competition, Hazlitt led the New York charge with a Double Gold for White Cat (voted Best New York and Best Grape Wine) and Golds for White Stag and 2006 Riesling. 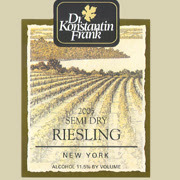 Pazdar also got a Double Gold for Hot Sin and Gold for Summer’s Ecstasy; Dr. Frank got Double Gold for 2006 Rkatsiteli and Gold for 2006 Semi-Dry Riesling; and Hunt Country got Gold for its 2006 Vignoles. Mt. Airy is home to some of the state's most historic wineries, but also, one of the most award-winning winemakers in Maryland wine history. Elk Run Vineyards' Fred Wilson pursued an education in engineering before entering a 30-year career in the field as a naval architect with the U.S. Navy. Fred always had an interrest in wine, but he found this interest growing into a new career in the early '80s. Fred studied winemaking in France, Germany and in New York's famed Vinifera Wine Cellars under the instruction of Dr. Konstantine Frank – one of American wine's luminaries. 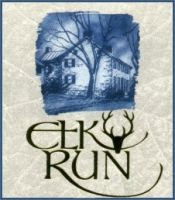 In 1983, Fred Wilson took the plunge and opened Elk Run Vineyards with his wife Carol. Continuing his engineering career, Fred remained director of the Naval Science Assistance Program with the US Navy until 1994, when he officially "retired" into the wine business. Since then, Fred has won the Maryland Governor's Cup three times, and has won many gold and silver medals in international wine competitions. He has served as Maryland Wineries Association president and continues to be heavily involved in helping to grow the industry. While focusing on growing quality fruit, Elk Run Vineyards has also pioneered certain grape varieties in Maryland, including Pinot Noir, Malbec and Gewurztraminer. In 1997, Carl DiManno left Shell Oil in Louisiana to join Chevron Chemical in Northern California. While living in Oakland, Carl was “bitten” by the wine bug, often spending three weekends a month in the wine country. Soon after, he began to explore ways to get into the industry. These appear to include buying a vineyard, working up from the bottom as a “cellar rat” or going back to school. After careful review, Carl opted to pursue a Masters degree from the University of California at Davis (UCD). While at Davis, Carl studied winemaking and conducted his research on the impact of micro-oxidation on the sensory characteristics of red wine. During the harvest of 2002, at Artesa Vineyards and Winery, under the tutelage of noted winemaker Don van Staaveren. His other winery experiences included DeSante Wines and Vine Cliff along with providing technical expertise to Winesecrets, a Napa based wine technology company. As native east coasters, Carl and his wife Erin wanted to move “home.” In 2004, Carl started at Sugarloaf Mountain Vineyard as vineyard manager. At the end of 2004, Carl began designing the winery and he served as winemaker for subsequent harvests. Carl remains active on the research side of the industry, reviewing grant proposals for American Vineyard Foundation and Viticultural Consortium – East and retains a small ownership stake in Winesecrets.